Welcome to the BCC Engineering and Technology Programs Blog. I hope to make this a fun site for visitors to see what exciting things are happening in the Engineering and Technology Dept. at Berkshire Community College. I invite visitors to browse through our programs pages to see the kinds of offerings we have to meet students’ educational needs. I will soon begin adding photos, videos, and descriptions of our facilities and staff in action. We have several new updated labs that we are very proud of, and that offer students a chance to learn important new skills and knowledge using wonderful modern equipment in some brand new laboratory classrooms. Like many Community Colleges we are very proud of our small intimate classroom settings where staff can give nearly individual attention to the students’ learning experience. Our programs involve a great deal of inter-department cooperation amongst a close knit group of highly skilled and knowledgeable Professors and Instructors from the contributing Departments. Also, I will try to keep up with a number of on-going and upcoming activities, events, new course offerings, and articles spotlighting some of our outstanding students, and their accomplishments, through timely Posts. In my first Post, I’ll be talking about our fun and rewarding Legos Robotics programs involving our Service Learning student’s and our work with several of the cities Elementary schools. I am also very excited about some upcoming intensive training programs for alternative energy systems. We are going to offer two new courses this coming Spring related to the Installation and Technical Design issues associated with Photovoltaic (PV) Energy Systems. We have some modern Solar, Wind Turbine, and Hybrid Systems training equipment that will be used for the courses. Look for the Posts in the near future! I would like to use this Post to feature one of my Engineering Computer Applications course students. The class recently had a project to design and implement a Userform in Excel that deals with the Physics topic of Projectile Motion. They were asked to build a GUI type Userform in VBA that allows a user to put in values for the initial velocity of a projectile (Muzzle Velocity) , its launch angle, and the initial height above the horizontal plane. They were then to use the values to calculate and display the usual parameters (e.g. the velocity in the horizontal direction, the velocity in the vertical direction, the time of flight, the downrange distance, and the maximum height). The class had previously done this type of analysis using Excel in a more traditional way, i.e. they calculated all those parameters and displayed them on a worksheet. They also graphed the height versus time. For the latest project, they did not have to tie the userform to their graph. I have the students do userform projects for many reasons, but mostly because userforms are all around us. Everywhere you look there is some sort of userform. I see this an opportune time to mix in a little Physics and Computer Programming skills to build something that is used everywhere. Keep in mind as you try the Userform, that this is a class for first semester Freshman, who typically have not had the Physics course that cover Projectile Motion. I hope you appreciate the work Rebecca did; I know I did! After my initial Post of Rebecca’s Projectile Motion userform, I looked at her latest project which is a userform for an application of Stoke’s Law for the Settling Velocity of particles in different fluids. I invite you to look at this one as well. Who said it is difficult to get young children, especially girls, interested in math and science? After reading the following brief description of the first challnge for the Crosby afterschool robotics program, view the three videos and you be the judge. Pay attention the level of engagement, the intensity, and the body language of the kids. Wow, what a great way to spend an hour on a Wednesday afternoon! The teams had to determine how far their robot traveled for one rotation of the wheels. 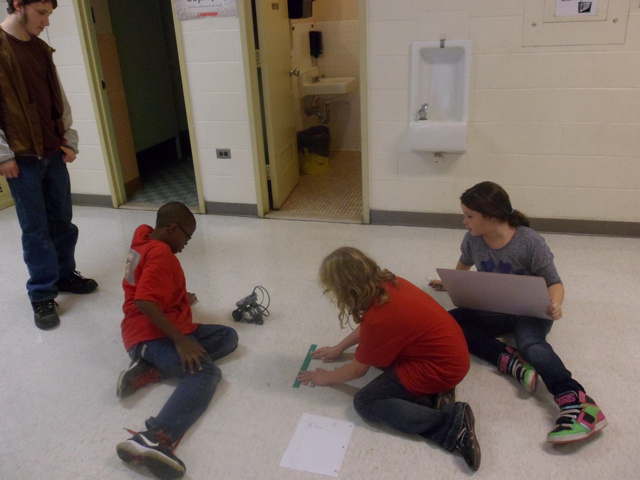 Then they had to measure the length of the challange course and calculate how many rotations they would have to program to get the robot to reach the finish line, but not touch it. Here are some videos of the kids in action. 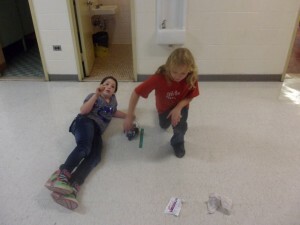 For more information about the BCC Service Learning Legos program please visit the following blog: Legos Blog. Wednesday, Oct 12th was the second meeting of the afterschool, Legos Robotics, enrichment program at Crosby Elementary School. Here is a photo of the kids who are participating this year. 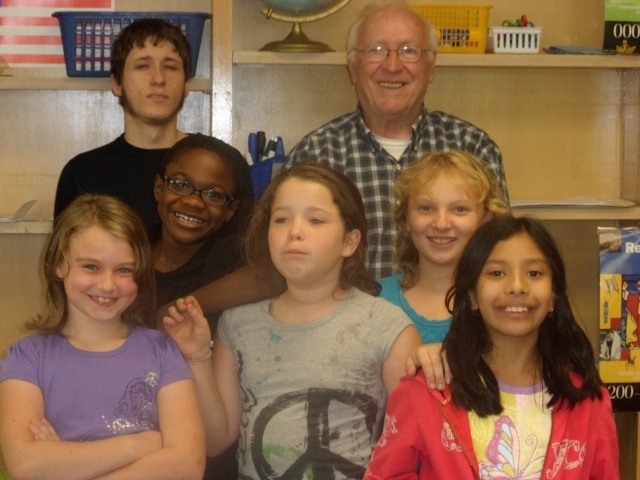 Besides me, the photo shows one of the BCC Service Learning students, David Manzella, and the five Crosby students currently in the program. Returning from last year are the two young ladies Jackie and Itzal. New comers are Kayshawn, Madison, and Kirsten. What a delightful group. Missing from the photo are Kurt Doherty (BCC Service Learning student) and Mrs. Peggy Irving (Crsoby Staff). 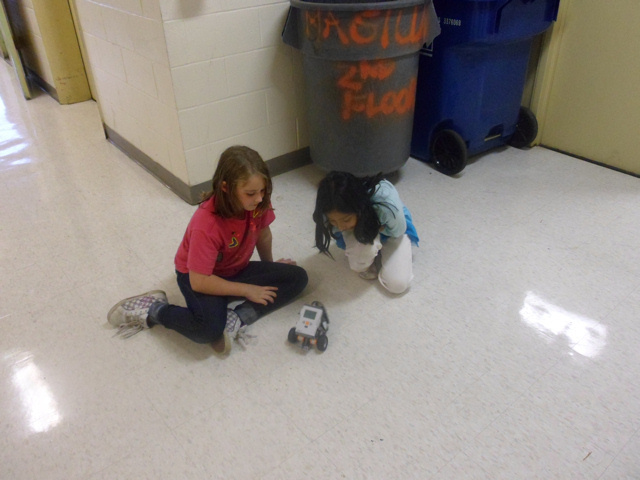 The kids were very excited to finally be able to get the robot to move around. They split up into two teams and started the tasks for Week 2. They went through a number of programs to have the robot drive forward and reverse; and for several different distances. The distances were programmed either by setting the number of rotations of the tires, or the number of degrees the tires turned. They had to measure the distances under known conditions in both inches and centimeters. 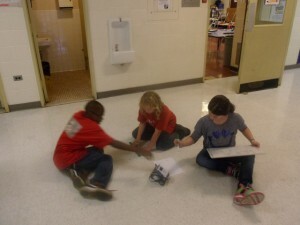 Then, they had to calculate how far the robot would go for each rotation or for each degree. This is all in preparation for their first big challange that will take place next Wednesday. I will set-up a course with a Start Line and a Finish Line, and each team will have to program their robot to just reach the finish Line without touching it. they get one practice run and then they go-for-the-gold. Here are some photos of the kids in action as they see what their program actually does, and they busily measure the distances.